Electrical problems are lost money to business, and every second it takes to do a repair or provide an upgrade is more money slipping away. 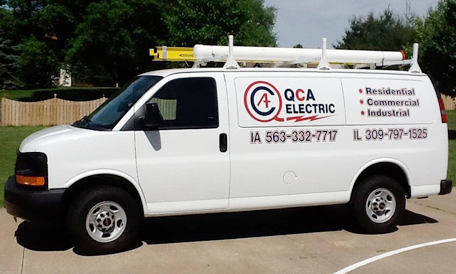 QCA Electric has fast, dependable commercial electricians in Bettendorf available, offering a response time under an hour for most Quad City homes. That's why our industrial and commercial electricians work quickly and safely to repair your electrical infrastructure quickly and bring your upgrades online as fast as possible. Do you need to install a 480 volt three-phase, a new transformer, or need to upgrade lighting equipment or a piece of machinery? Our industrial electricans are here to meet your needs. Our electricians have been in the industry, meeting your needs for more than 35 years and we look forward to continuing to provide the fast, safe services you need to thrive.